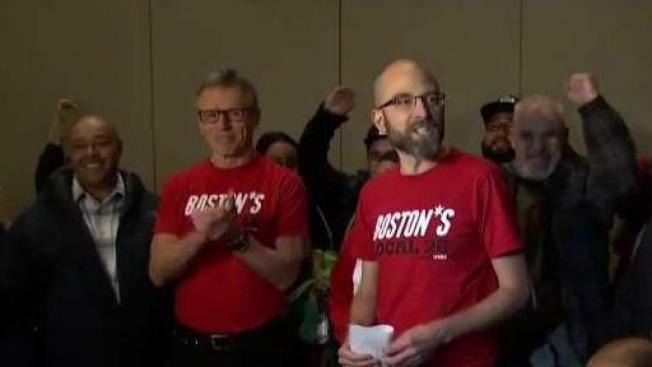 The Unite Here Local 26 union announced Saturday that a 46-day strike by Marriott hotel workers in Boston is over after workers ratified a new contract agreement. 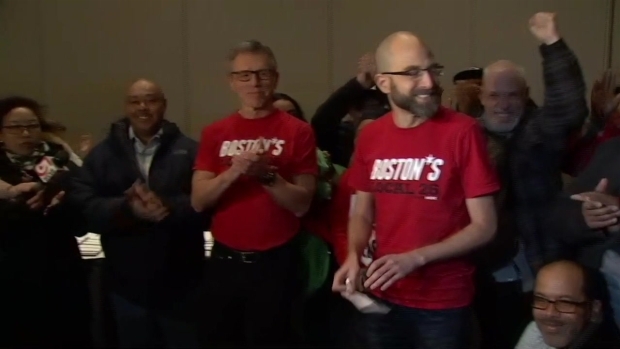 A labor union says a 46-day strike by Marriott hotel workers in Boston is over after workers ratified a new contract agreement. The Unite Here Local 26 union announced Saturday evening that workers approved the deal during an afternoon vote. To the eruption of cheers, union officials announced that 677 voted in favor of accepting the new contract, with nine voting against. Unite Here 26 announced Saturday evening following a ratification vote that a deal has been reached between the union and Marriott hotels in Boston. Details were not released but union officials say the agreement provides historic job security protections along with a wage and benefits package that significantly raises the standard for hotel workers struggling to survive in one of the most expensive cities in the U.S.
On Oct. 3, more than 1,500 union workers went on strike at seven different Marriott-operated hotels across the city as they called for increased wages and a salary that allows them to be able to live in Boston, rallying behind the slogan "one job should be enough." The hotels included the Aloft Boston Seaport District, the Element Boston Seaport District, the Ritz-Carlton Boston, the Sheraton Boston, the W Hotel Boston, the Westin Boston Waterfront, and the Westin Copley Place. Unite Here Local 26 had urged the public not to cross picket lines and received support from Boston Mayor Marty Walsh and Massachusetts Governor Charlie Baker. Boston City Council passed a resolution calling all city employees to not patronize Marriott hotels while workers were on strike. Organizers called it the city's first-ever hotel strike and say it has led to the richest and most economically progressive contract in Local 26 history. The union added that further details of the contract will be shared after the more than 5,000 Marriott workers who are still on strike in San Francisco and Hawaii reach agreements to end their strikes. Strikes at Marriott hotels ended with ratifications previously in San Diego, San Jose, Oakland, and Detroit.